And now for something completely different… I have been working on the following video off and on for most of the summer. I’ll post it up here, and will speak a little about it and share some stills and other photos below. I would love to hear any thoughts you might like to share. Working on this video has been educational in more ways than one. 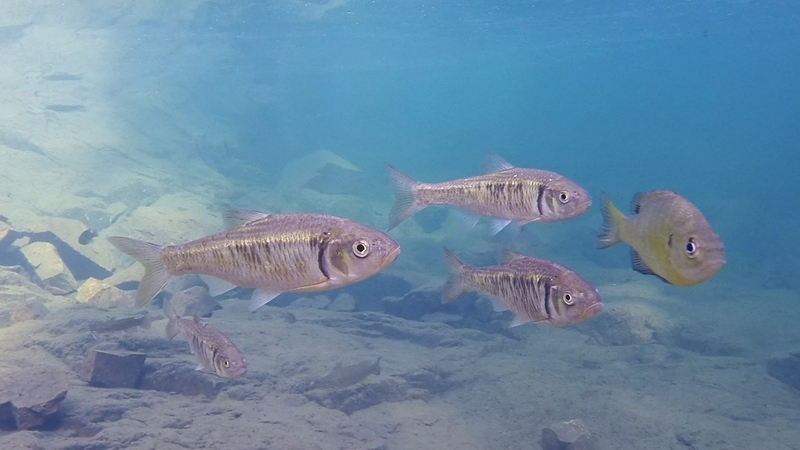 All the footage used was taken with the GoPro Hero 3 (gifted to me by my lovely and generous wife, Sarah. Thank you!). Although capable of tremendous quality, there are challenges and many things to learn when making this type of video. Although I improved with a little practice, a few problems are still apparent in the final cuts. There is a back available for the GoPro that allows you to see what is being filmed in real time. However, this piece cuts the already limited battery life by a lot, and I do not own one. This resulted in the fish being partially or fully cut out of the frame more often than desirable. I partially corrected this problem by finding some prescription swim goggles (quite cheap! ), snorkel and swim shoes. This combination allowed me to get in the water and behind the camera. 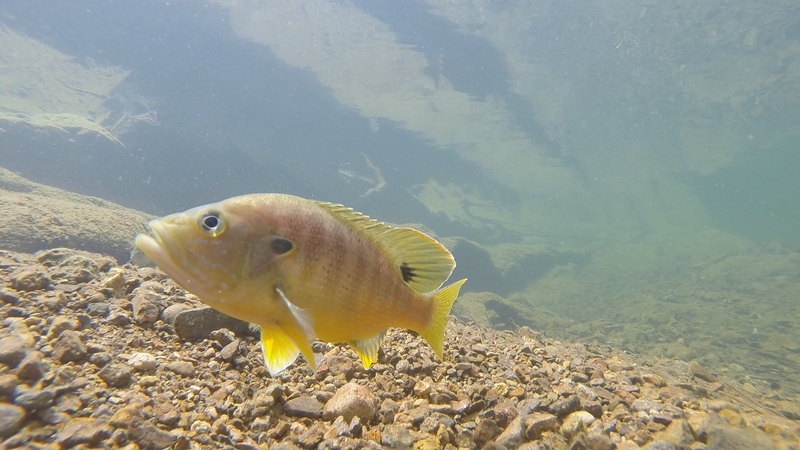 After a little practice, filming the different species in such a way as to not intimidate them became easier. Another issue that I had is obvious at different parts of the film – early stage hypothermia. 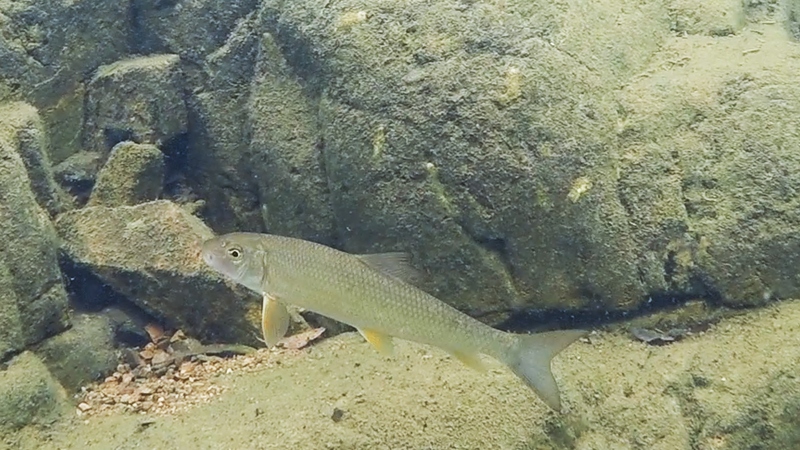 Although these clips were made on some of the hottest days of the summer, these spring-fed streams cooled me down so much that I could not control my limbs from shaking. I am considering investing in a wet suit to avoid this in the future. This activity helped start me on knowing Missouri’s fishes a bit better. I had never given much thought, but so many species have to be in-hand in order to get a proper identification (at least by me). The Long-eared Sunfish were incredibly brilliant. When filmed in less than three feet of water under direct sunlight, the colors dazzled. 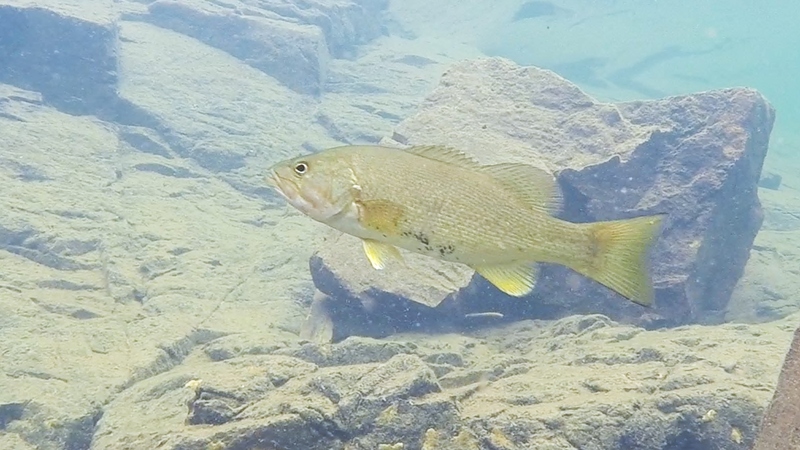 The Smallmouth Bass were quite common, slowly patrolling the pools that were their private hunting grounds. The bottom feeding Hogsucker were one of my favorites. 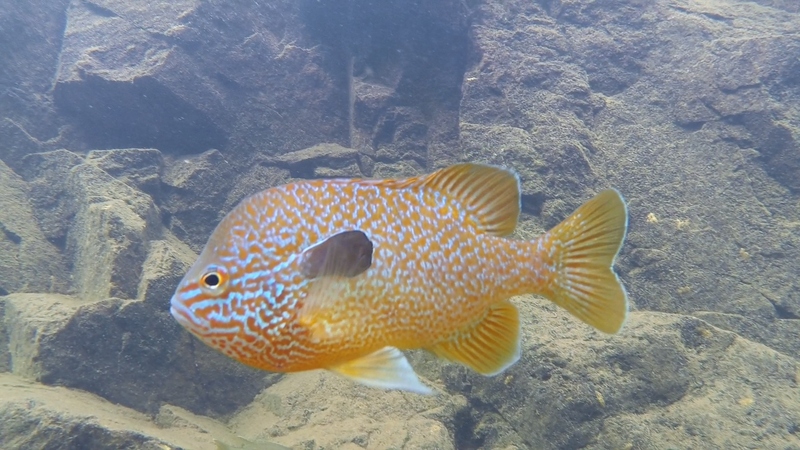 Quite colorful and contrastingly patterned, they could still disappear easily on the sun-dappled stream bottoms. The Green Sunfish were one of the most common and surely the least shy stars of the film. Quite often they would inspect the camera and our skin with their mouths. Even with field guides I find it impossible to name some of the minnows. These guys were surprisingly large. I think they may be a shiner species, but am unsure. There were many large Red Horse species found in deeper stretches of the streams. 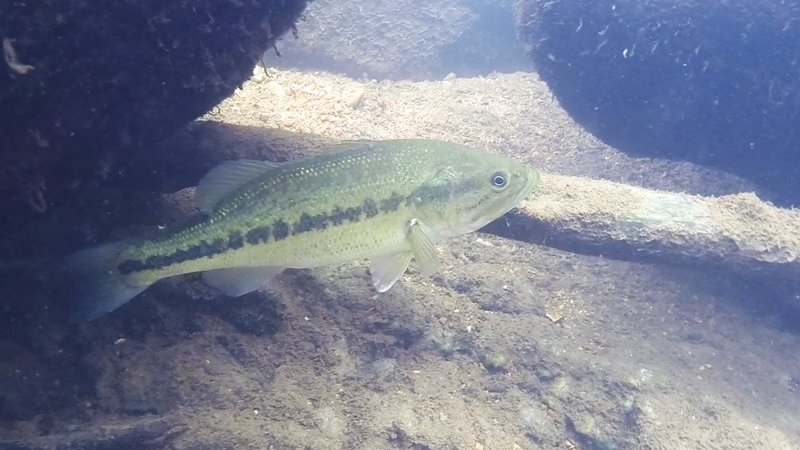 This was the only Spotted Bass individual we were to come across. Greenside or Johnny Darter? I just can’t say. The out-of-water footage was taken via canoe along the upper stretches of the Jack’s Fork River. A terrific trip we had, back in May, where the weather was fine and the birds were plentiful. 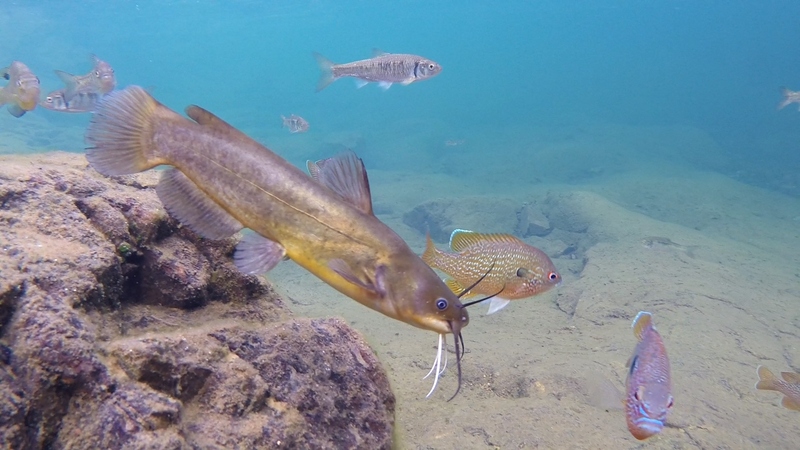 Getting to know the underwater vertebrates really helps to appreciate the roles many of the birds play along an Ozark stream and how all the members of this intertwined ecosystem make their respective livings. This Wood Duck drake posed for a short time towards the end of the day. Finding an Osprey is a telltale sign that there is a quality fish community below our seats. 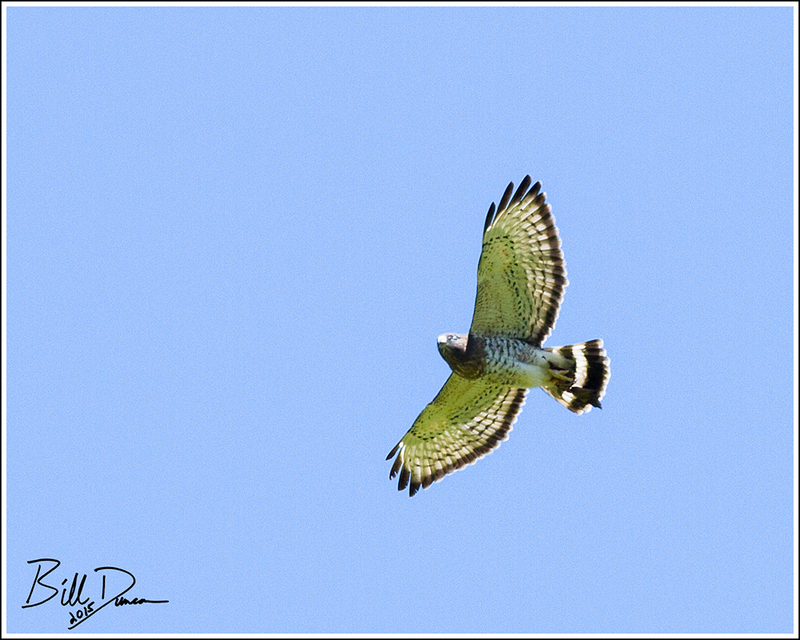 The high-pitch sound of the Broad-winged Hawk almost always precedes a look. This was no exception. Green Heron know where the fish are to be found as well. Typically, if you spot a shorebird along an Ozark stream bank, it will be the Spotted Sandpiper. 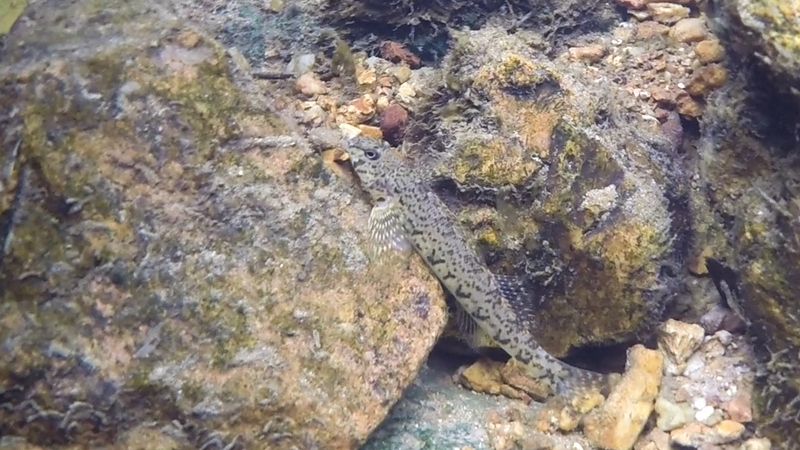 Look for the indicative bobbing of the tail as it makes its way along the rocky shores. Common Map Turtles were found anywhere they could get a surface on which to bask. They were so keen on heating themselves up that we were allowed to float by at pretty close distances before they took the plunge back into the water. 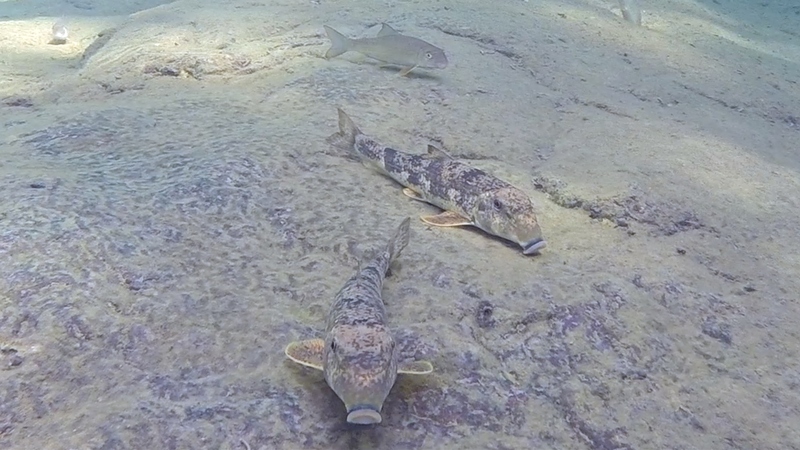 These guys will feed on the invertebrates such as mollusks and arthropods as well as any fish they are able to catch. Finally, it just isn’t a trip out to any significant Missouri waterway without finding a Bald Eagle or two.